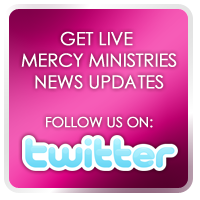 Mercy Ministries News: A Day at the Lake! Last weekend, the Nashville Mercy residents were treated to a weekend of fun and relaxation at Center Hill Lake. The lake trip has become a summer tradition for Nashville residents for the past 6 years, hosted by Jim and Marla Husky each year. On Saturday afternoon, the girls took turns going out on the boat. They went tubing and enjoyed the gorgeous weather. Stephanie, a current resident, said her favorite part of the weekend was tubing: “It was quite the adventure and it was a nice time to enjoy the outdoors and get out of the house. I had lots of fun!” The girls enjoyed amazing meals all weekend long. They even helped prepare home made ice cream. On Sunday morning, the girls had devotions and a time of worship before heading back to the Nashville home. The weekend was a perfect opportunity to give the girls a chance to relax their minds and bodies. Mercy Ministries has truly been blessed to have the Husky’s open their home and their hearts to the girls. The girls would especially like to thank the family and say that they really appreciate their hospitality and generosity!